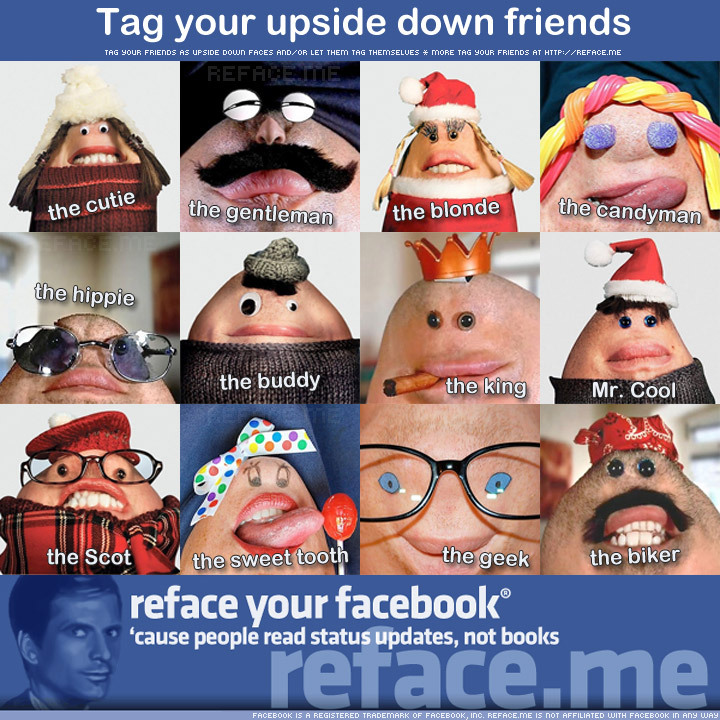 The Tag your upside down friends tagboard includes the photos of 12 different characters depicted by decorated upside down faces. Don’t they look funny? Right-click and save the image above to your computer. Upload it to any of your Facebook photo albums or your wall. Posted by Pieter on June 9, 2010 at 7:28 PM. Use this trackback if you're linking this story.